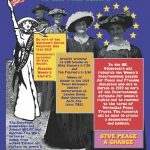 Volunteers will research the Women’s International League for Peace and Freedom delegates who met in Zurich in 1919 as part of the International struggle for women’s rights and to respond to the terms of Versailles Peace Treaty. The research will be used to create a documentary and booklet. 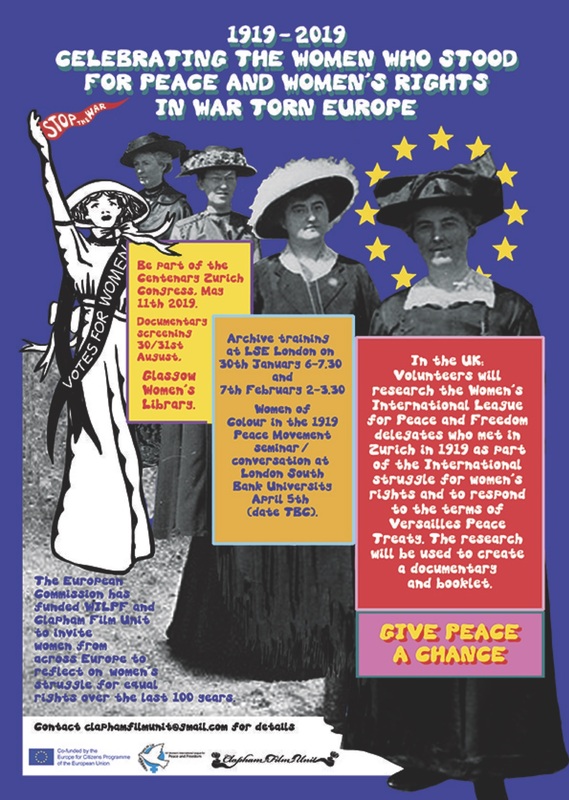 The European Commission has funded WILPF and Clapham Film Unit to create this filmed history project inviting women from across Europe to reflect on women’s struggle for equal rights over the last 100 years. Documentary presentation 30th/31st August, Glasgow Women’s Library.